Enjoy your branding! 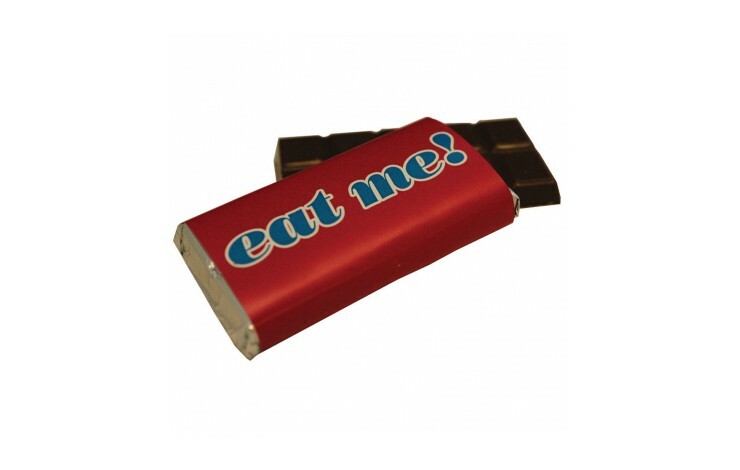 Promotional chocolate is a great giveaway for your customers to enjoy! 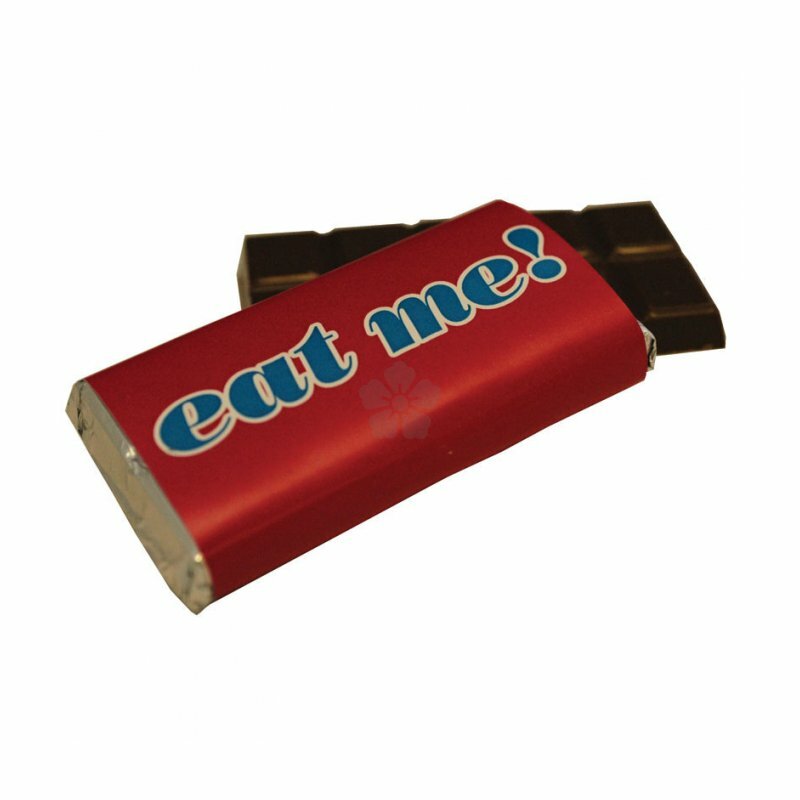 Solid milk chocolate bar covered in a silver foil and wrapped in a digitally printed paper band, achieving full colour as standard. Note: Setup is charged at £70.00. Outer Sides of the Wrapper.